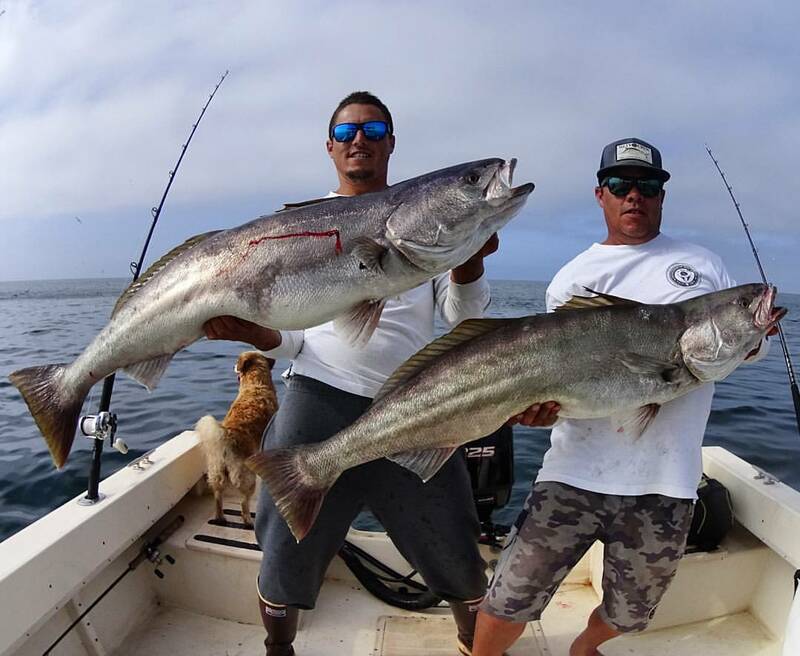 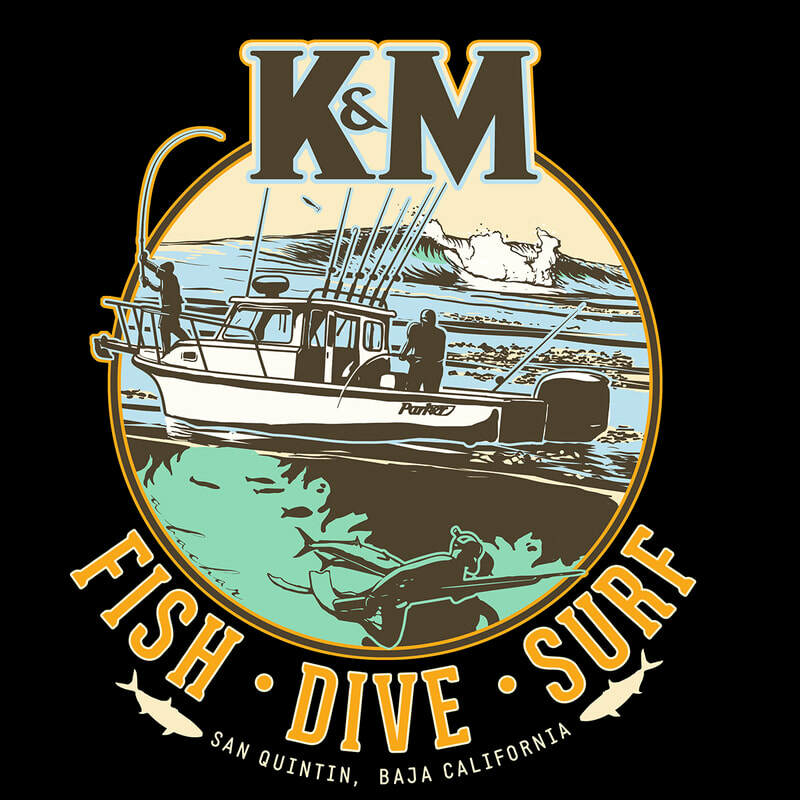 ​K&M Sportfishing is family owned and run by the Catian family of San Quintin Baja, Capt Kelly Catian and sons Oscar,George and Christian run the 3 Parkers "Offshore III Offshore IV" & the"Offshore"
giving you acres of open deckspace to fight offshore fish all while aboard a very stable platform. 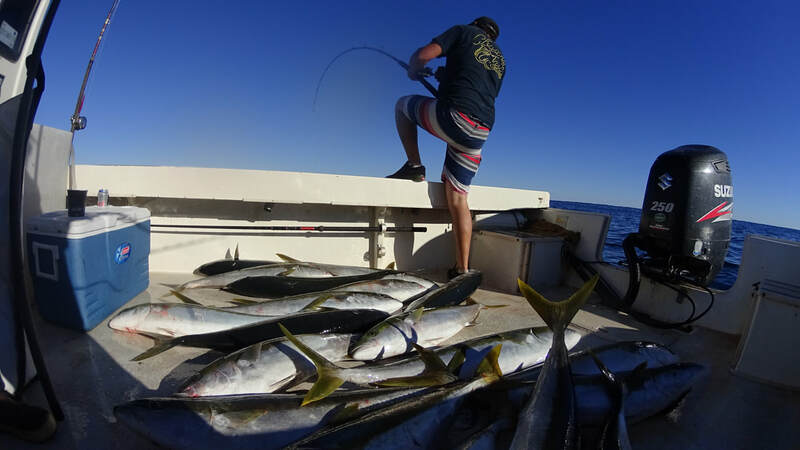 Fish live biat on offshore kelp paddies for Yellowfin and Bluefin Tuna,Dorado,Yellowtail and even marlin and swordfish! 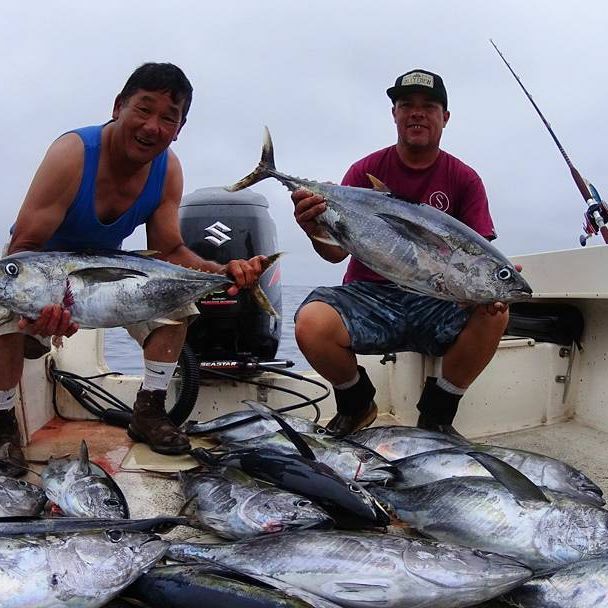 Fish San Quintins famous high-spots like the 240 spot or Bens Rock, the 6 Fathom bank or the Tuna Hole. 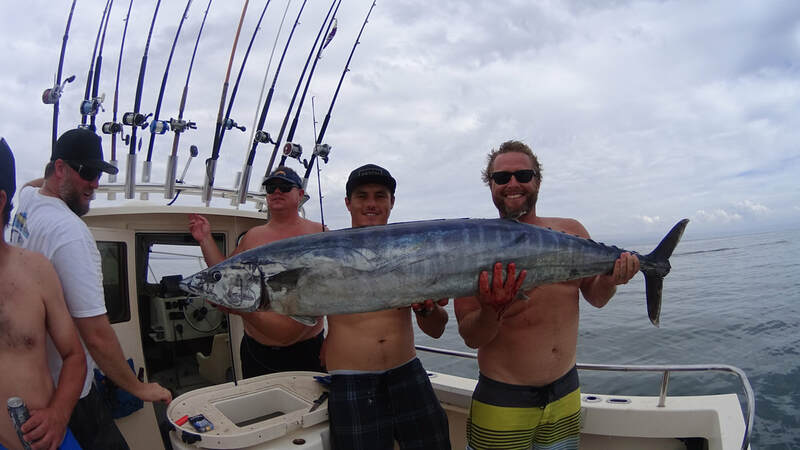 Like inshore fishing? 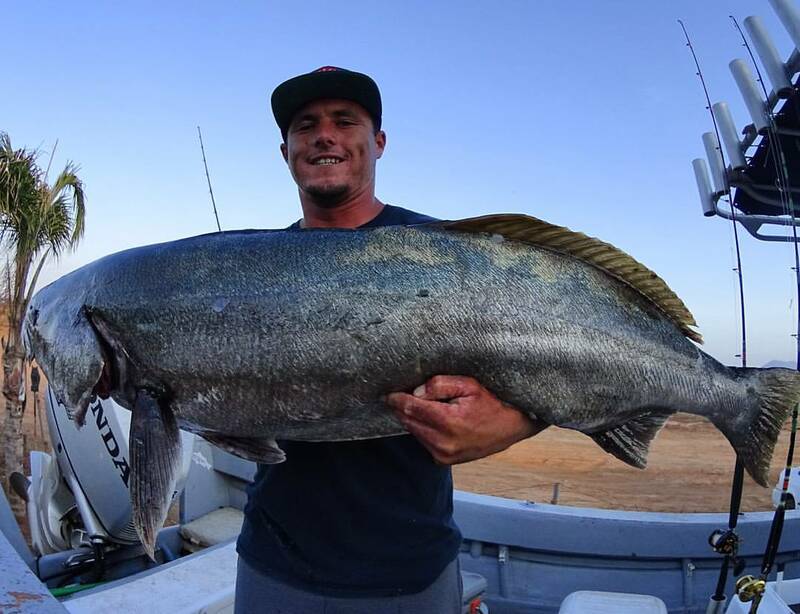 White Seabass, Calico Bass, Halibut, Rockfish.....San Quintin has it all, just let us know what you want to fish for and we,ll put you on it. 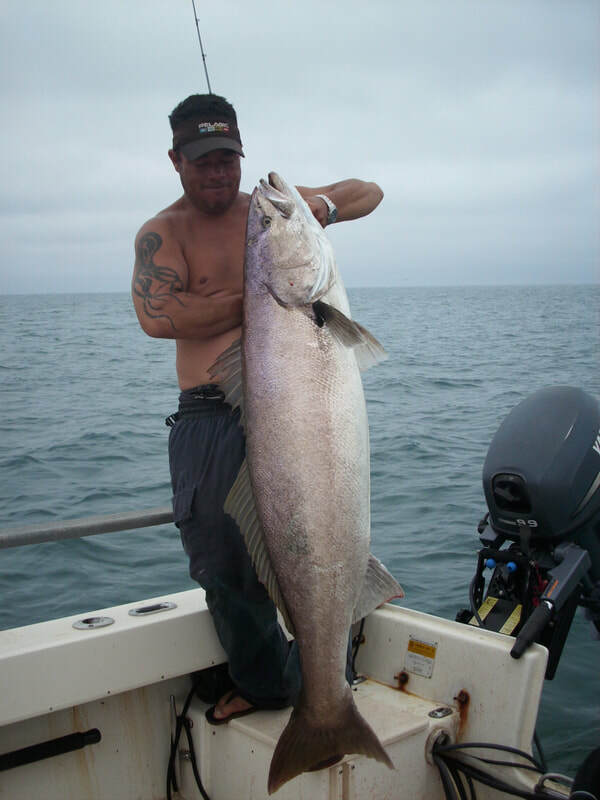 All K&M Capts speak fluent english and spanish and are coast guard certified and licensed. 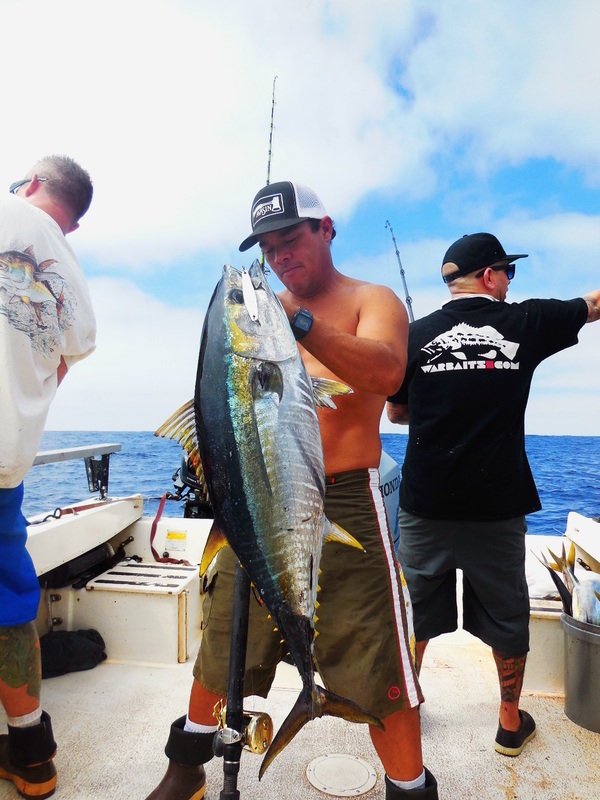 We offer 3 types of trips to meet everyones budget. 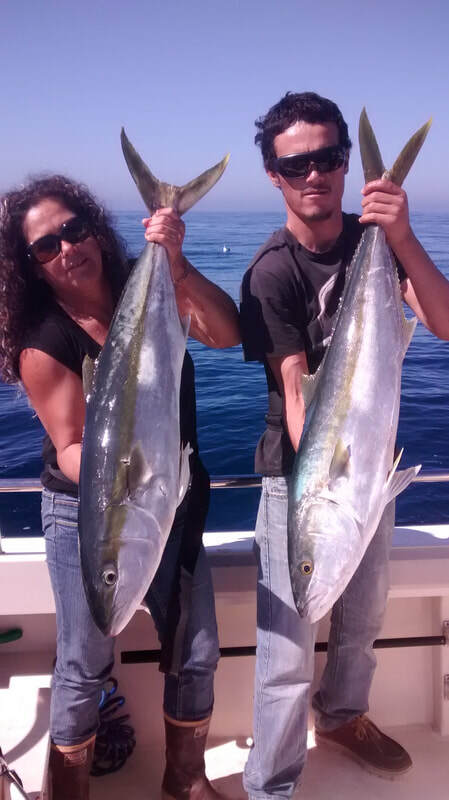 A 1/2 day trip $350 boats depart 7:00am and arrive at dock at 12:00pm . 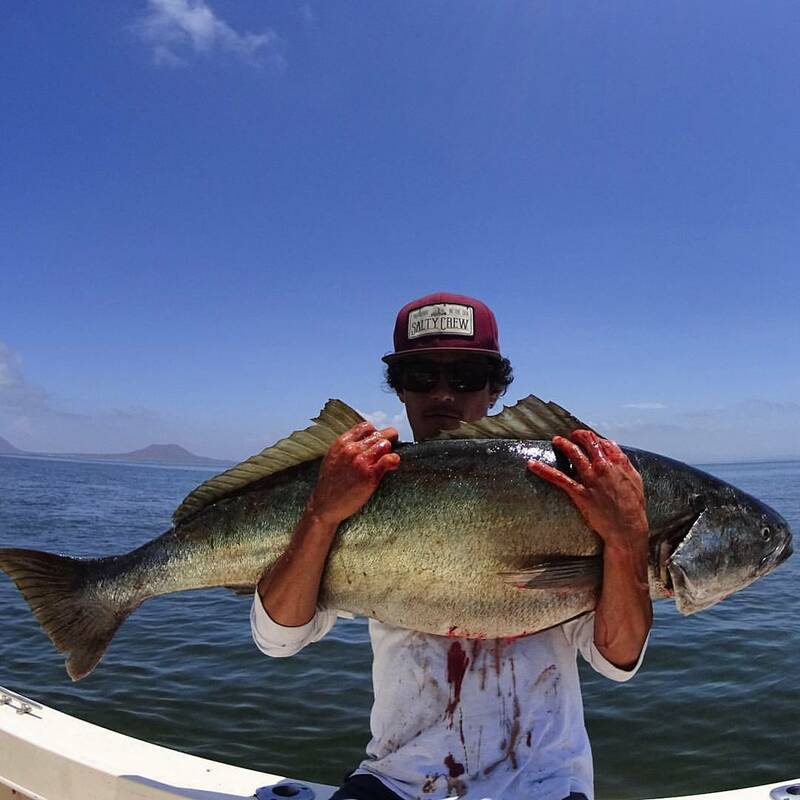 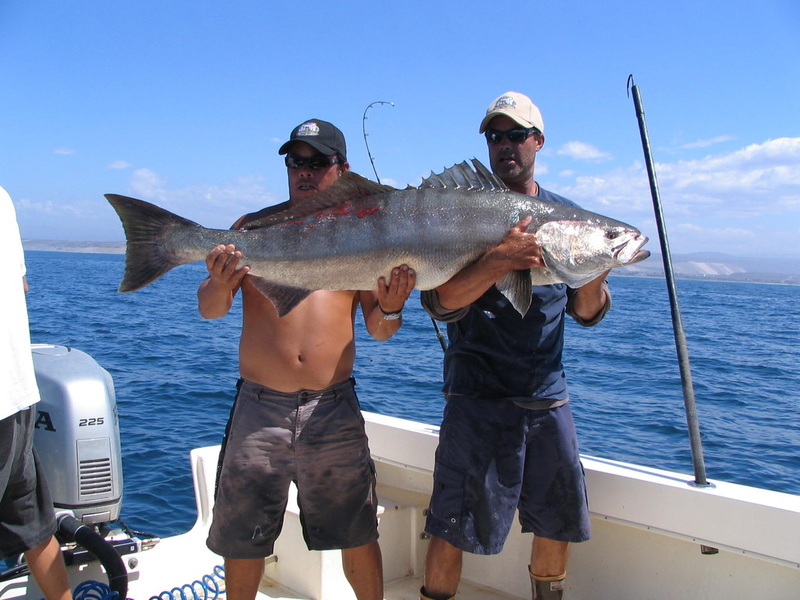 Boats fish coastal waters and Cabo San Quintin for Halibut-White Seabass-Rockfish-Calico & Sandbass. 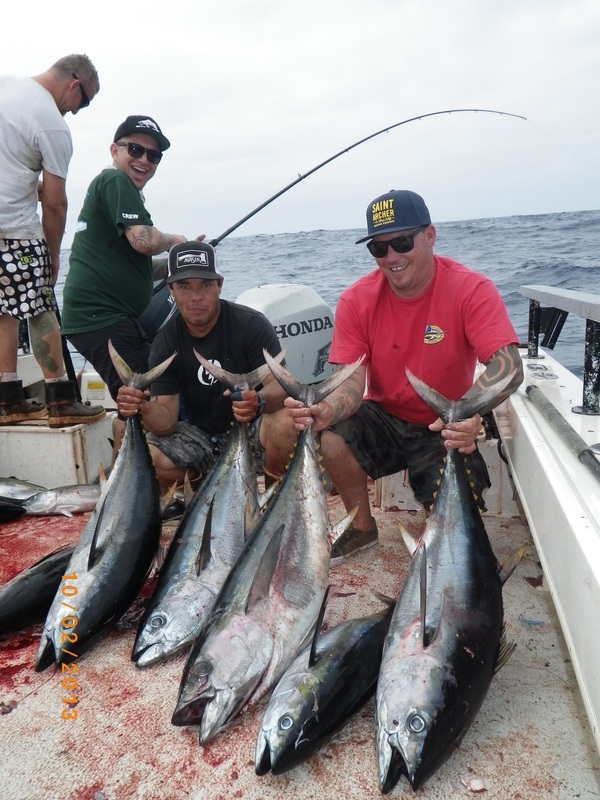 A fullday trip $600 boats depart 6:00am and arrive at dock at 3:00 pm. 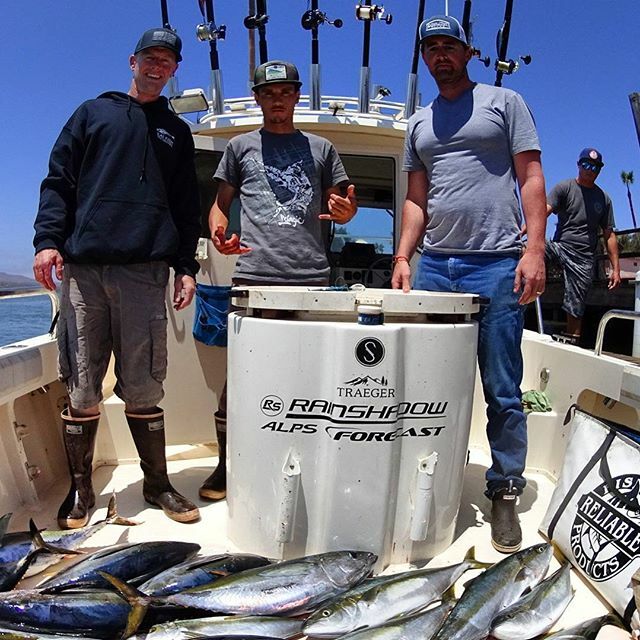 Boats fish high-spots like Bens Rock-6Fathom-The "240" or Breakers reef, the 15 Fathom and Isla San Martin for Yellowtail-Seabass-Ling Cod-Rockfish-Barracuda-Halibut-Calicos...etc Offshore Tuna Trips $700 Boats depart 5:00am and arrive at dock at 4:00pm. 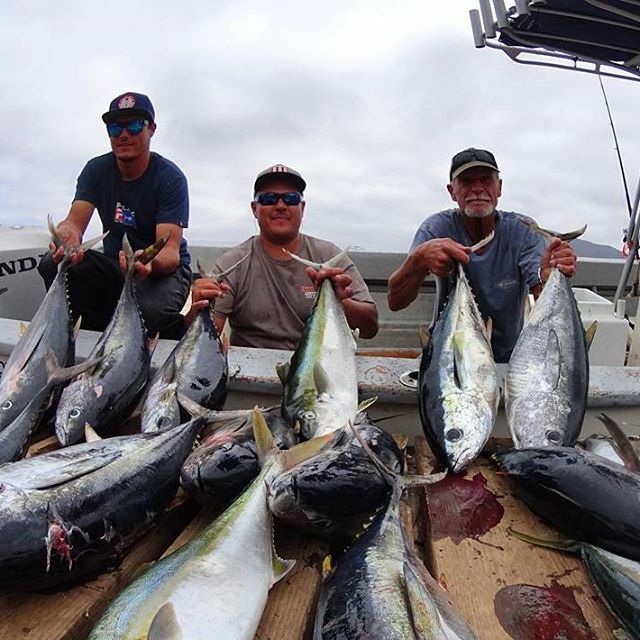 Boats fish offshore tuna grounds like the "Tuna Hole" the Hovan ridge the 304 Baja Bank and more for Bluefin,Yellowfin,Dorado,Yellowtail and Albacore . 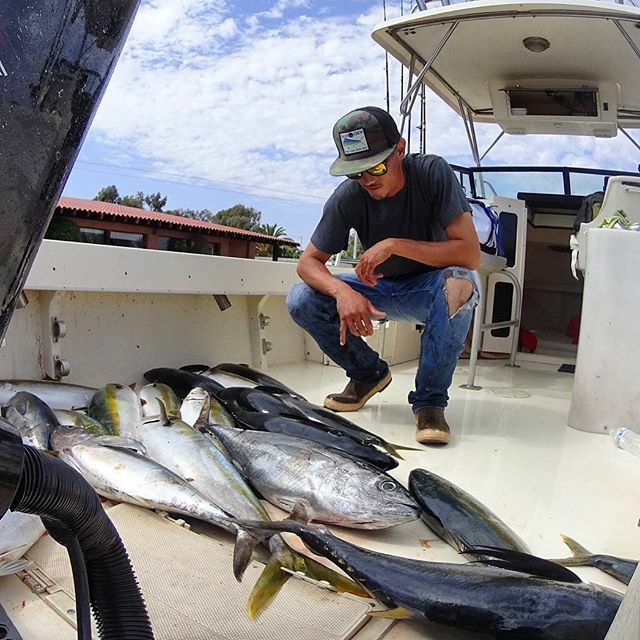 Our Parker Boats are Family freindly with spacious v-berths for sleepy kids or for just taking a nap between hook-ups. 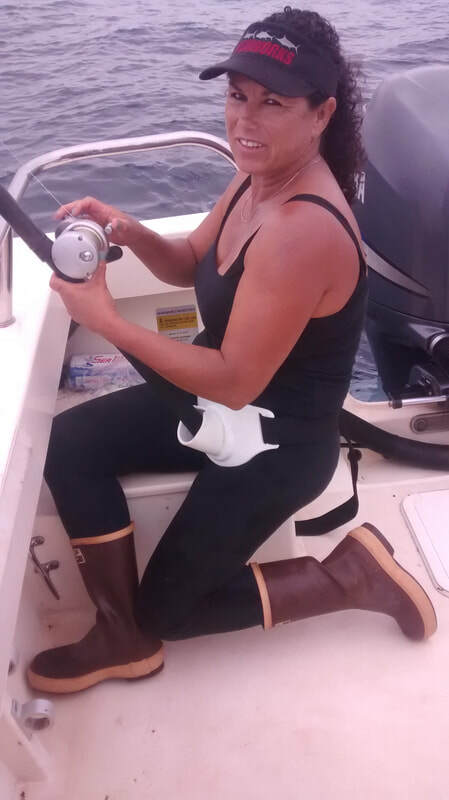 Both boats have portable toilets in v-berth for the ladies. 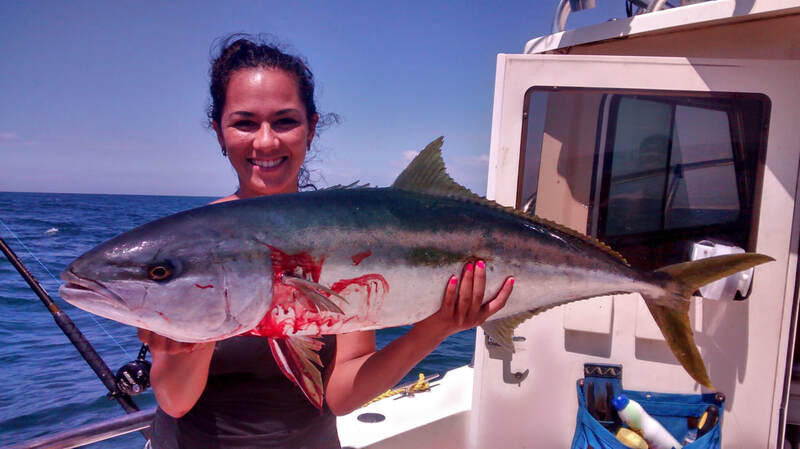 Be sure to click on Capt,s Blog for recent fish reports! 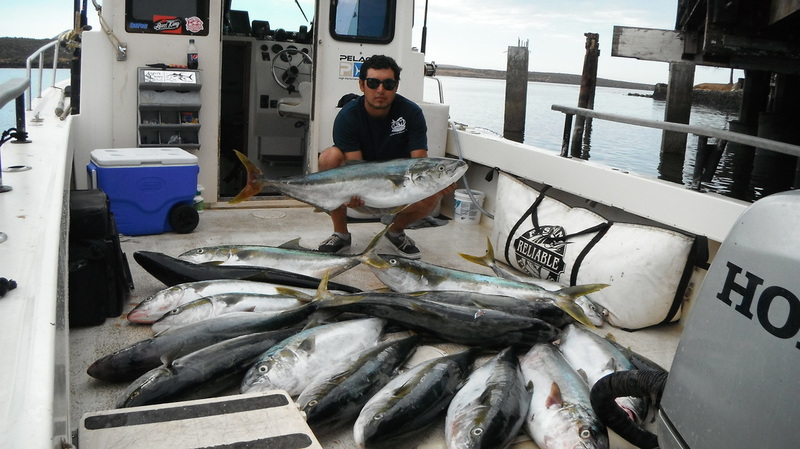 Thanks and Bienvenido a San Quintin!